Any Event ,Any size, we will provide articulate, well presented SIA approved security stewards to help manage your Club, Hotel and Event run smoothly. Greeting guests with the utmost courtesy and professionalism, our event security guards appreciate how their presence can help to provide comfort and stability to both you (event organizers) and guests. Applying our tailored approach to every event opportunity, we cater for all types of events including private occasions, exhibitions, sporting events, concerts and festivals. Whether you require security for a corporate event or for a special occasion, we can help to identify your needs and delivery a suitable and efficient event security plan. 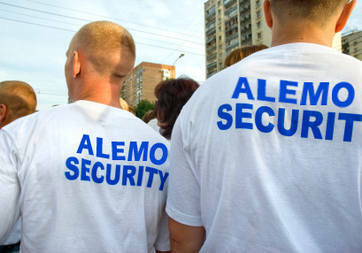 Get in touch with us now to understand what Alemo event security can provide to accommodate your needs.